Gray acrylic, drapes really nicely and is SOFT! So I've been knitting lately. 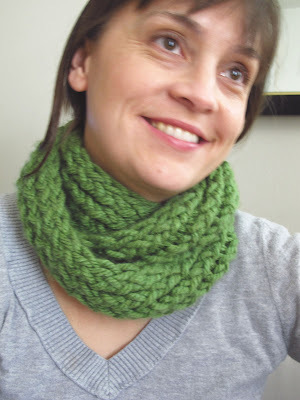 Here are my latest creations fueled by my passion for the knitting process. I'm by no means a technical whiz. Still I love the anticipation of the outcome, looking at and choosing the colors, and finally what happens to my brain when I do it. I go into the "knitting zone." Peace. Doing something without having to think too hard. For someone who's been told she thinks too much it's the perfect escape. I also love the look of this design: the cowl. It's elegant and simple. You can be wearing a rather non-descript outfit, but once you put one of these on you are good to go! And keeping your neck warm keeps all of you warm. So here they are! Contact me if you want to buy one. I'm selling each for $25. All of them are a simple tube shape, except for this green "mobius"wrap. 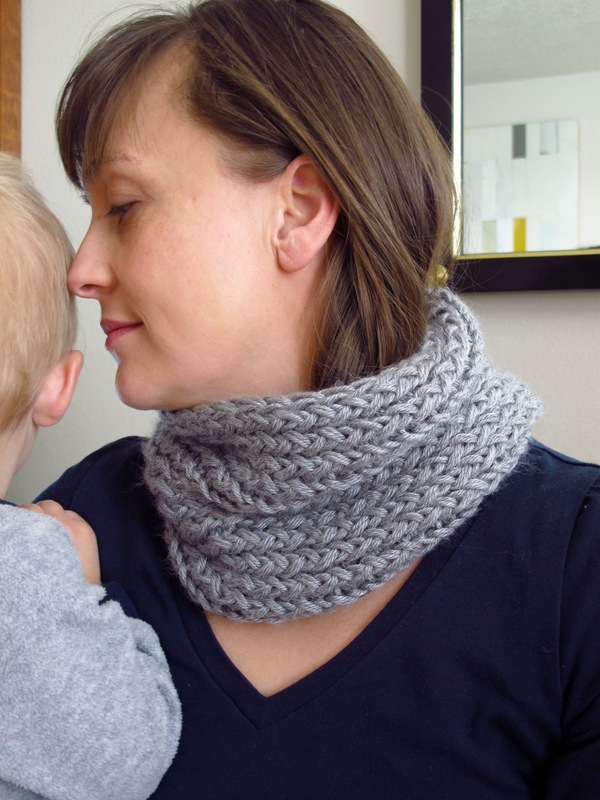 The cowls are beautiful but the picture of you with the grey cowl and your sweet baby is absolutely precious!